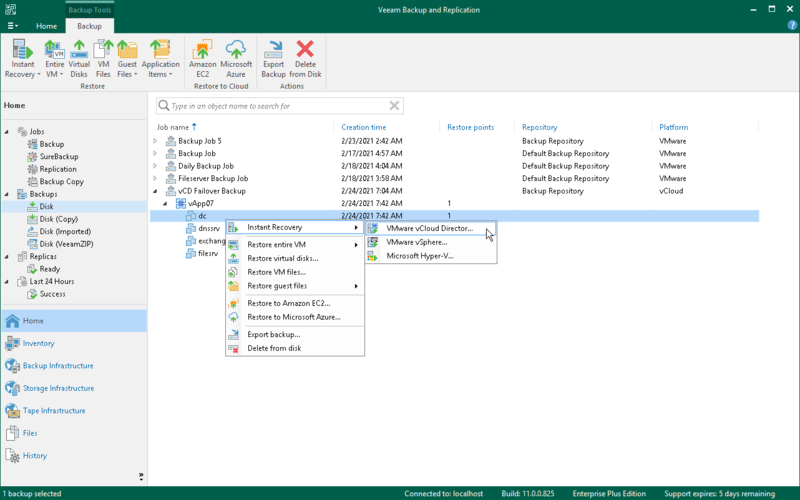 Select the machine that you want to restore and click Instant VM Recovery > Into vCloud vApp on the ribbon. Right-click the machine that you want to restore and select Instant VM recovery > Into vCloud vApp. Open the Inventory view. On the View tab, click vCloud View. In the inventory pane, expand the vCloud Director hierarchy. In the working area, right-click the VM you want to restore and select Restore > Instant VM recovery > Into vCloud vApp.